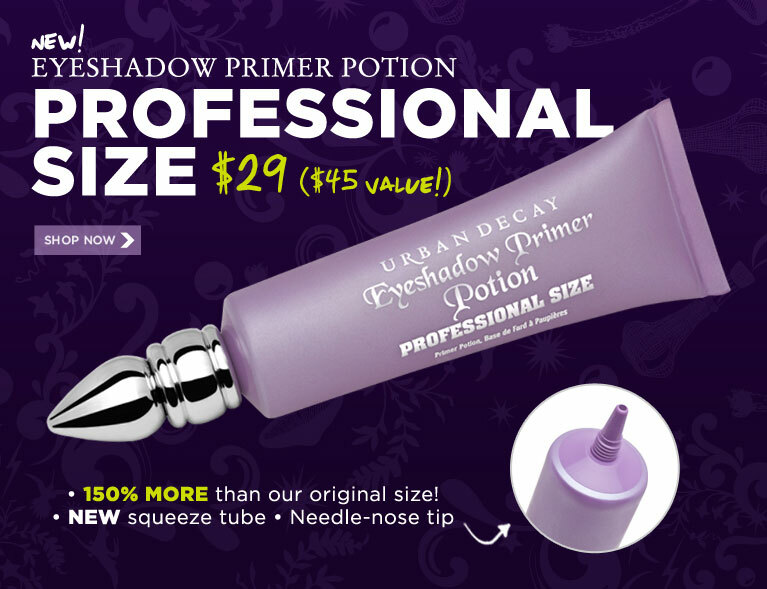 I was going through my emails that I received while on vacation, and I came across one from Urban Decay regarding their Primer Potion. Many of us who use the UDPP as our HG product have always complained about the packaging. It seems like Urban Decay got the hint and listened. Wow, a company who listens to the consumers request. Good job! The squeeze tube makes it easier to get everything out. The needle-nose tip makes application more sanitary, and easier to control product application. It is a tad bit expensive. I’m not sure if I can justify paying $29 for UDPP. I wonder if the regular size will have the same packaging eventually? I hope so. Is it what you’ve been longing for? i like that they repackaged it but i'd like them to offer it in their normal size and price as well. im a too faced shadow insurance girl but i know UDPP is a favorite of many. I'm excited for this….BUT it is Limited Edition. WhatTheHeck?? Yeah……They were past due for this one. It's about time, but I'm skeptical about it sticking around. I feel like they're testing the waters.. which with the over-sized tube and increased price seems a bit skewed. I think they are testing it too. If people have been asking for it for so long why not just release it permanently? Also, they see the success with Too Faced Shadow insurance primer.